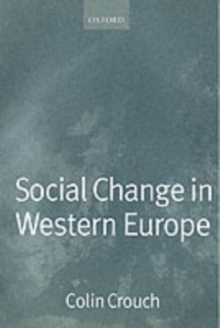 This book provides a major new examination of the current dilemmas of liberal anti-racist policies in European societies, linking two discourses that are normally quite separate in social science: immigration and ethnic relations research on the one hand, and the political economy of the welfare state on the other. The authors rephrase Gunnar Myrdal's questions in An American Dilemma with reference to Europe's current dual crisis - that of the establishedwelfare state facing a declining capacity to maintain equity, and that of the nation state unable to accommodate incremental ethnic diversity. They compare developments across the European Union with the contemporary US experience of poverty, race, and class. They highlight the major moral-political dilemmaemerging across the EU out of the discord between declared ideals of citizenship and actual exclusion from civil, political, and social rights. Pursuing this overall European predicament, the authors provide a critical scrutiny of the EU's growing policy involvement in the fields of international migration, integration, discrimination, and racism. They relate current policy issues to overall processes of economic integration and efforts to develop a European 'social dimension'. 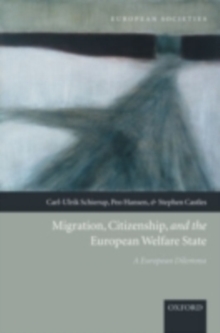 Drawing oncase-study analysis of migration, the changing welfare state, and labour markets in the UK, Germany, Italy, and Sweden, the book charts the immense variety of Europe's social and political landscape. Trends of divergence and convergence between single countries are related to the European Union's emergingpolicies for diversity and social inclusion. 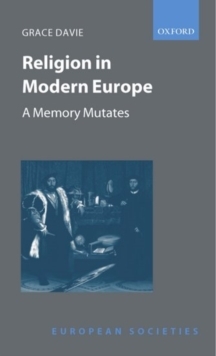 It is, among other things, the plurality of national histories and contemporary trajectories that makes the European Union's predicament of migration, welfare, and citizenship different from the American experience. These reasons also account in part for why it is exceedingly difficult to advance concerted and consistent approaches to one of the most pressing policy issues of our time. Very few of the existing sociological texts which compare different European societies on specific topics are accessible to a broad range of scholars and students. The European Societies series will help to fill this gap in the literature, and attempt to answer questions such as: Is there really such a thing as a 'European model' of society? Do the economic and political integration processes of the European Union also implyconvergence in more general aspects of social life, such a family or religious behaviour? What do the societies of Western Europe have in common with those further to the East? This series will cover the main social institutions, although not every author will cover the full range of European countries. As well as surveying existing knowledge in a manner useful to students, each book will also seek to contribute to our growing knowledge of what remains in many respects a sociologically unknown continent. The series editor is Colin Crouch.